Richmond has many layers, from steep ties to American history to a buzzing culinary scene. These days, Virginia’s capital city is a creative hub waiting to be explored. Urban mural projects burst with color throughout neighborhood streets while over 20 traditional art institutes and galleries can be found around town. Museums showcase not just art but also history and historic figures who once lived here. 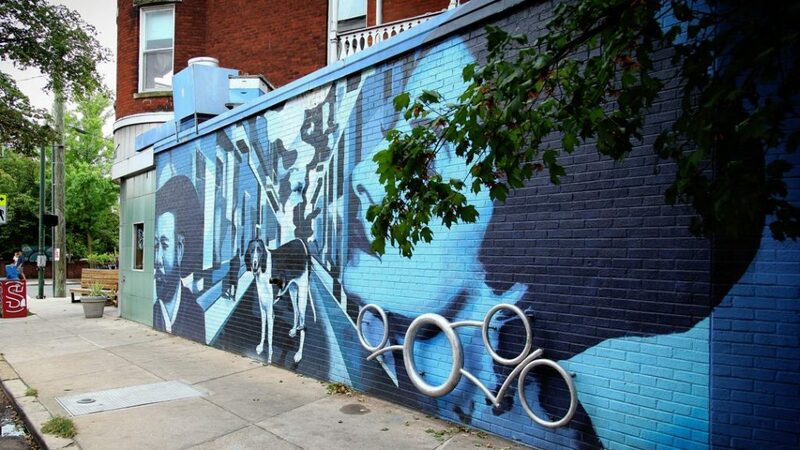 Get ready to let Richmond show off its artsy side during your next weekend getaway. 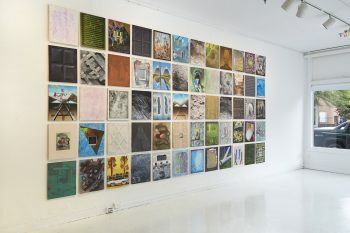 Opened in April 2018, the Institute for Contemporary Art at Virginia Commonwealth University doesn’t have a permanent collection. Instead, it holds rotating exhibitions and programming that foster conversation and perspective. 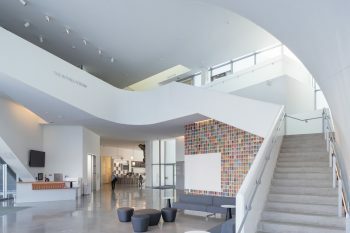 Divided into four galleries, the 40,890 square-foot-building also holds a gift shop, an interior cafe and an outdoor sculpture garden accessible through the cafe. The Virginia Museum of Fine Arts has a collection of more than 35,000 pieces spanning different time periods and showcasing many cultures. View Fabergéeggs, ancient Mediterranean art, Pre-Columbian objects and textiles and African, African-America and African diaspora art. The E. Claiborne and Lora Robins Sculpture Garden holds eye-catching pieces such as Dale Chihuly’s Red Reeds, a red-hued glasswork in a reflecting pool, and “Chloe,”a 24-foot tall sculptural head by Spanish artist Jaume Plensa. 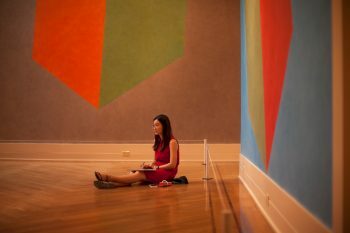 A fun way to explore Richmond’s art galleries is during the monthly First Fridays. Held around Richmond’s walkable Arts District the first Friday of the month, it run from 5 to 9 p.m.; check with a specific location to confirm their participation and hours for that night. One participant is 1708 Gallery, a nonprofit, artist-run space centering on art made by those who are up-and-coming or established. Also within the arts district, the ADA Gallery, owned by director John Pollard, promotes emerging and mid-career artists. It features paintings, sculptures and other mediums, including furniture. 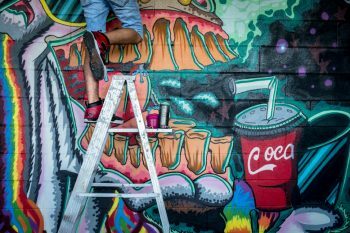 Richmond’s public art murals result from commissioned pieces or remain from previous arts-related events. Along the Canal Walk near the James River, the walls of a defunct electrical power plant at 12thand Byrd streets still hold murals created during the 2012 RVA Street Art Festival. RVA Trolley tours also pass by murals in various city sections, with guides pointing some of them out. Arts aside, museums highlight Richmond in many ways. In fact, the city has a Museum District based within the districts of The Fan and the West End. The Valentine preserves Richmond’s history with exhibitions on the city’s connection to various topics and key moments in time. Founded by Mann S. Valentine Jr., a collector who built his fortune on a health tonic made from beef juice, the museum includes the 1812 John Wickham House (once home to a prominent Richmond family). See the table where Richmond citizens discussed the surrender of the city to Union forces during the Civil War. View a Richmond Woolworth’s lunch counter and stools, where student activists protested segregation. Edgar Allan Poe may be associated with New York City and Baltimore, but he also resided in Richmond. While he never lived at this particular location, the Edgar Allan Poe Museum commemorates his time in Richmond, along with his legacy and literature. During the Civil War Richmond’s was as the capital of the Confederacy. The American Civil War Museum examines everyone impacted by this war – soldiers, freed and enslaved Africans and civilians. Across from the museum, the T. Tyler Potterfield Memorial Bridge is a shared pedestrian and bike path over the Charles River. The Maggie L. Walker National Historic Site is the residence of the first woman to be president of a bank, before U.S. women were given the right to vote. During the Jim Crow era, Walker also worked to provide economic opportunities for Richmond’s African Americans. Her home is open to the public; her statue is in the Arts District on Broad and Adams streets. The Black History Museum and Cultural Center of Virginia tells the stories of Richmond residents and their accomplishments. Richmond’s dining scene is equally plentiful. If you’re seeking a casual bite, Saadia’s Juicebox and Yoga Bar makes fresh juices, smoothies and specialty lattes. Lift Coffee Shop and Café has a range of sandwiches and paninis. 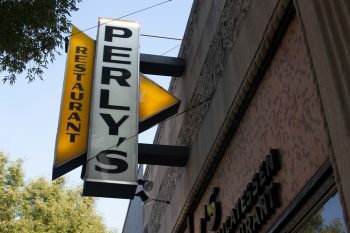 For more substantial fare, Perly’s is an old-world Jewish deli. At Lunch.SUPPER!,they dish out hearty Southern cuisine plus there’s a beer garden. Go for a drink at Väsen Brewing Company, a craft brewery highlighting Belgian farmhouse and sour ales, or The Jasper, a cocktail bar named after a 19th century bartender Jasper Crouch. Order a Quoit Club Punch from Jasper’s own recipe book. 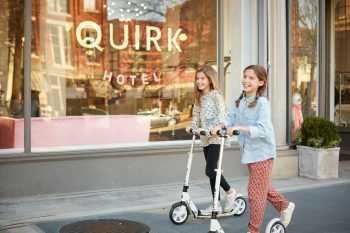 For lodging, consider Quirk Hotel, within the Arts District with its own art gallery, rooftop bar, coffee bar, and cocktail bar. Accommodations extend to a mix of double and king guest rooms, loft suites, ADA guestrooms and one-bedroom suites. Within the lobby area, Maple & Pine, the artisanal restaurant, serves brunch on Saturdays and Sundays along with breakfast, lunch and dinner during the week. Rich, salty and roasted flavors are prominent on their menus. Take Amtrak from Penn Station in New York City to the Main Street Station in the Shockoe Bottom neighborhood. Uber and Lyft are available. The 7.6-mile Pulse Rapid bus transit line has routes along Broad and Main streets. RVA Bike Share program has riding ops such as a one-way trip, day pass and weekly pass. For more information, check out Visit Richmond. 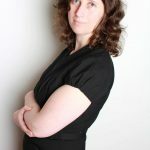 Photo credits: ADA Gallery and Visit Richmond.